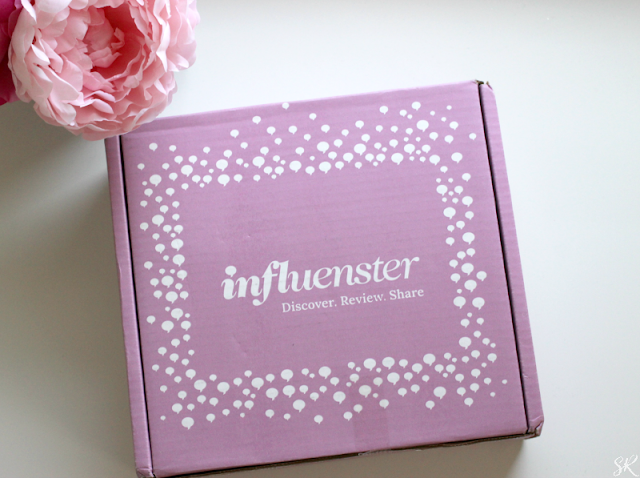 See What's Inside the Influenster Darling Voxbox! Guess what guys? I got another Influencer Voxbox! Today will be sharing a few things that I found inside the Darling Voxbox. Okay, Influenster has been stepping up their game. My latest Influenster Voxbox is pretty good for a free box of samples. They have been hit or miss in the past, but this one is pretty good. *Live Clean Baby Gentle Tearless Shampoo and Wash $5.99 & Live Clean Baby Gentle Baby Lotion $5.99 – clinically tested, mild, tear-free formula Maywood purified water and organic botanicals of chamomile, lavender, and aloe. *Eva NYC Therapy Session Hair Mask $14.99 - A deep conditioning treatment that repairs and strengthens dry damaged hair. Contains Argan oil. *Vichy Mineral 89 Hyaluronic Acid Face Moisturizer $29.50 –A new facial moisturizer using mineralizing turn my water that has 15 minerals that supposed to deliver a boost of hydration for a bright vibrant healthy skin. *Nature's Bounty Energy Gummies $7.99 – Watermelon flavored gummies contain B12 along with other herbs. * Duncan Hines Perfect for 1: Chocolate Lovers Cake $2.50 - Cake in a cup, ready in 1 minute. 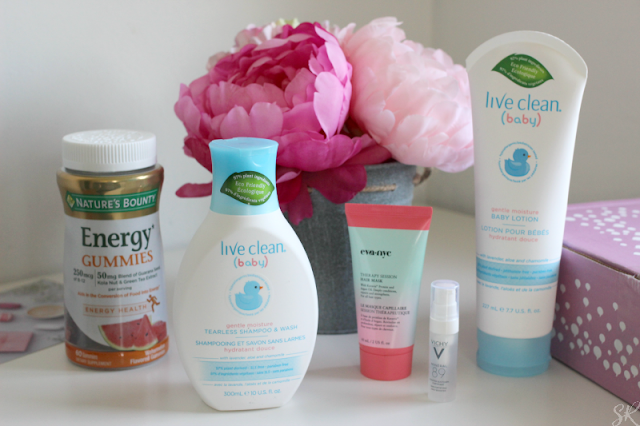 So far, I've tried the Live Clean Baby products and these will be perfect for when the Gbabies are visiting. I'll be trying everything else soon. Let me know if there is a product you would like to see reviewed and I will do so on my social media networks. Be sure to follow me so you stay in the know! Have you gotten any good Influenster Voxboxes lately? Disclosure: I got this free from Influenster and you can too. I'm not obligated to blog about it. It's just fun. I love the VoxBoxes! I got the Poppy Vox Box and loved everything but the Nivea In Shower Lotion. This one looks like it was a sweet one! Those were some nice goodies you got in your Voxobx! The hair mask immediately got my attention, thanks for sharing! I need those energy gummies. That's a great box all together. This looks like a great Influenster box. I would like to read a review for the face moisturizer. I'd love to know how the Vichy Mineral 89 Hyaluronic Acid Face Moisturizer worked for you. I have been looking for a good face moisturizer. I love seeing the Influenster boxes. It's like receiving a Christmas present. Lol! Awesome post! Made me think which Influenster Voxbox should I choose!Thanks for sharing! Great product review. Sounds like a great box! I've always admired your elegant photos. You really have a knack for things that are pleasant to the eye. I have not heard of the VoxBox. I need to get on that STAT! The gummies look good and the moisturizer sounds fantastic. Thanks for sharing. Those are great samples. I love the Influenster VoxBoxes. They always contain great products. I've never gotten this box before but the hair mask may have gotten my attention. Thanks for sharing! I received this box too, but haven't had a chance to check out all the products. Looks like Influenster stepped their game up. I haven't received a box in quite awhile because I've been on the sidelines for a bit. I'm trying to decide if I want to pick it up again because I really enjoyed receiving them. Nice review. Thank you for sharing this post! I haven't tried this post.